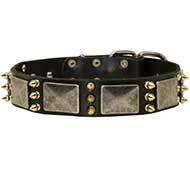 We assure these spiked dog supplies will catch your eye at once from the first sight. Sometimes people are afraid of using spiked gear. 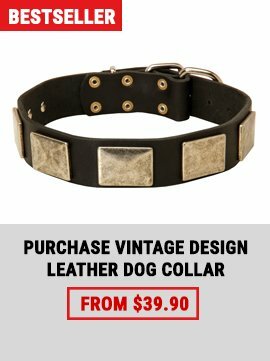 But there is nothing to worry - all the spikes are not sharp, vice versa they are smoothed not to scratch or hurt the dog. 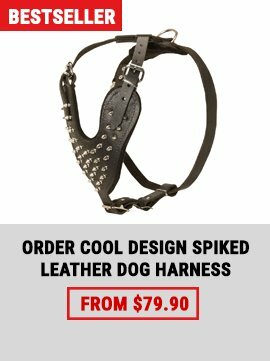 So, if you like to attract heighten attention, choose one of our collars or harnesses decorated with brass or nickel plated spikes. Each is durable, safe and comfortable. 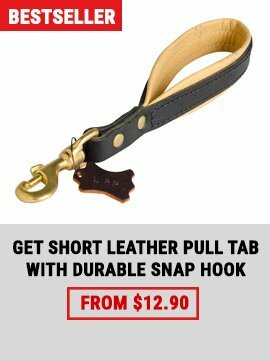 We offer different models in leather and nylon materials.